I admit it, one of my favorite things about craft beer is the clever names. There are puns, odd references, and just plain silliness. It just tickles my fancy. But they are also trademarks, and as more beers come on the market, there are more chances for conflict. These disputes have been highlighted by several articles in beer trade sites, legal sites, the Wall Street Journal, and Techdirt. Picture this very real example from my life. My craft beer loving husband tells me to pick up a specific 6-pack of beer for some event. He tells me the name, and I am oversure of myself and don’t write it down. Now, there I sit in front of a long cooler of a variety of 6-packs trying to make sure I bring the correct beer to the event. 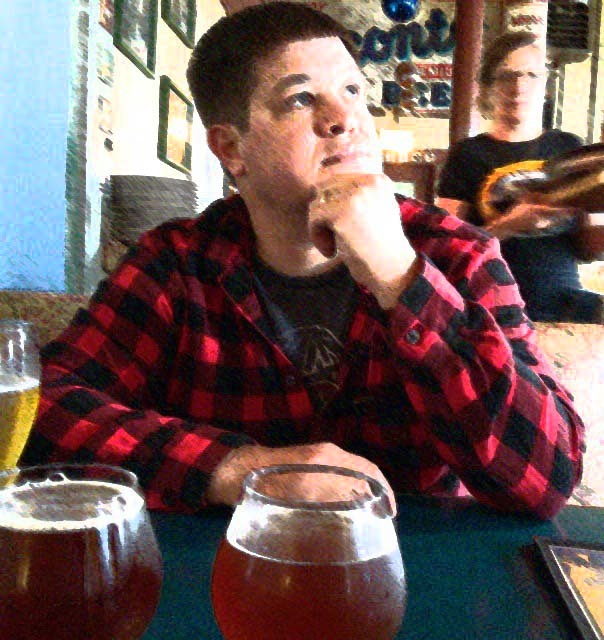 Hmmmm… I remember it was an IPA, but did he say Evergreen Session IPA, Super Kind, or Harmonia. And those names aren’t even similar – just imagine if they were! I would likely be so confused that I’d have to text him (probably several times) just to be sure I got it right. And that is the crux of determining if two marks can co-exist: The likelihood that a potential customer would get confused and buy the wrong thing. This can be because the customer is looking for a specific beer can’t distinguish which beer is from the “correct” brewery like my above example. Or maybe they think that the brewery that they loved started making gin and bought the gin with the same name as their favorite beer. In either case, both companies can be injured because the customer is not getting what they want. They are annoyed and nobody wins the customer’s goodwill. So what to do? First, as we have said before: Pick a strong mark that provides a lasting impression. Second, check to make sure no one else is using it or a close approximation. When looking at beer names, don’t just search for other beer names. Customers don’t think in single classes. You may have to look at bars and clubs, wineries, and distillers. Trust me, the USPTO is looking at these so you better be, too. What if you find something kind of close, but not exact? You have to look at it from the average customer’s perspective. How will someone showing up to the store spend their limited time and energy to decide which package to pick up? How easy is it for them to be confused and pick up the wrong thing? The easier it is for them to be confused by the marks, the less you should use the mark. The relatedness of the goods or services. Makes sense, right? Two marks that look or sound the same are likely to confuse people, especially if used on similar goods. Sticky Lips on beer and on wine, likely to confuse people as to if the same company is involved in both goods. But Sticky Lips on beer and envelopes is much less likely to have people think they both came from the same source. Again, these make sense. For beer, the trade channels are likely the same, but the similar names on dental floss and dental x-ray machines may not be as likely to confuse the buyer. And the more time a consumer spends thinking about a purchase is usually directly correlated to them making sure they are getting the right thing. Think of buying a car versus the breath mints in the check-out aisle. And finally, if everyone and their brother is using “hops” in their IPA name, the chances are that customers aren’t putting a whole lot of weight on that word to distinguish your product from others. Then do my favorite thing: Ask others if they can tell the difference between the two. Then ask them to remember one of the names, and ask them a few days later if the other name is what you asked them to remember. Because that is what you are asking your customers to do. Erin! This is a great post on the details of trademarks in my world of branding and packaging design. All the brainstorming in the world won’t do us any good if we settle on a name/idea that is already taken, or that sounds close enough to cause problems. When we aren’t going to register a trademark with the USPTO, but want to be confident we’re choosing a winner, how do we go about our due diligence? ANSWER: we read your post http://www.ogdenglazer.com/business/look-before-you-leap/ and that set us on the right path. Also, thanks for clarifying “hops” as in reference to “the number and nature of similar marks in use on similar goods”. Much gratitude for your brilliant brain, and your super helpful posts. Skol! Thank you for your kind words, Becky! I am glad this helps you as you help your clients.